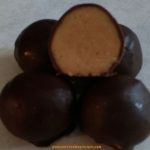 Peanut Butter Balls - Now....you're cooking! If you like Crispy Crunch chocolate bars or Peanut Butter Cups you will love these tasty morsels. 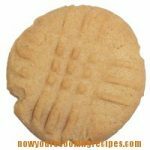 With electric mixer, blend together peanut butter, butter, icing sugar and graham cracker crumbs (or you can mix by hand). 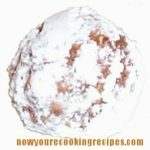 Roll dough into small balls - use about a teaspoon of dough per ball. Moisten your hands with cold water to keep the dough from sticking. Place balls in the freezer until they are hard (about an hour or more). 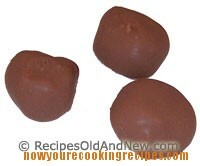 Melt chocolate chips and shortening together in the microwave on medium heat. Stir until smooth. Spear a peanut butter ball with a toothpick to hold it, and dip in the melted chocolate to coat. Place on wax paper to dry and remove toothpick. Continue until all balls are coated with chocolate. If the chocolate starts to cool and gets too hard, return it to the microwave for a few seconds. Store in the fridge or freezer. If frozen they only need about 10 minutes to thaw. Review this recipe: Click here to cancel review. Now....you're cooking! has been hosted with Dreamhost since 2002. © 1998-2016 Now....you're cooking!. All rights reserved.